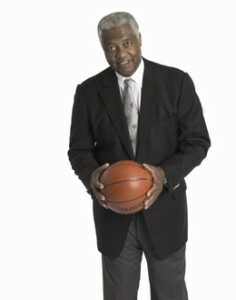 Oscar Robertson (The Big O) is one of the most enduringly successful and respected athletes in the history of sports. But his athletic achievements are only a part of his background. Unlike many professional athletes, Oscar has applied the principles of leadership, commitment, teamwork, integrity, and trust that he learned from his sports career. These principles articulate our commitment to our customers. As a certified Minority Business Enterprise (MBE), the Orchem team is committed to the success of our customers by offering quality, efficient, cost-effective products and programs. Today’s complex business environment requires innovation, flexibility and personal attention – all specialties of this minority small business. Oscar hopes you’ll take a good look at Orchem and our all star management team. You’ll see determined, experienced professionals, full of energy and ready to resolve your toughest cleaning, sanitizing, and disinfecting challenges. Orchem will continue under Oscar’s leadership, to strengthen current relationships while building new ones in meeting customer’s needs. The entire Orchem management team look’s forward to the opportunities of becoming your valued business partner. For more than 25 years we have been providing state-of-the-art proprietary formulated specialty cleaning and sanitizing chemicals to the food and beverage, institutional, industrial, residential, commercial, and healthcare industries.